Sometimes, different parts of our lives converge in a way that is JUST SO….This is one of those times. I just finished reading Eat, Pray, Love after resisting it for more than a decade. I was at the part where ‘Liss’ is in Indonesia, whiling away her days with Ketut Lyer, the medicine man. Around the same time, I met Emily. 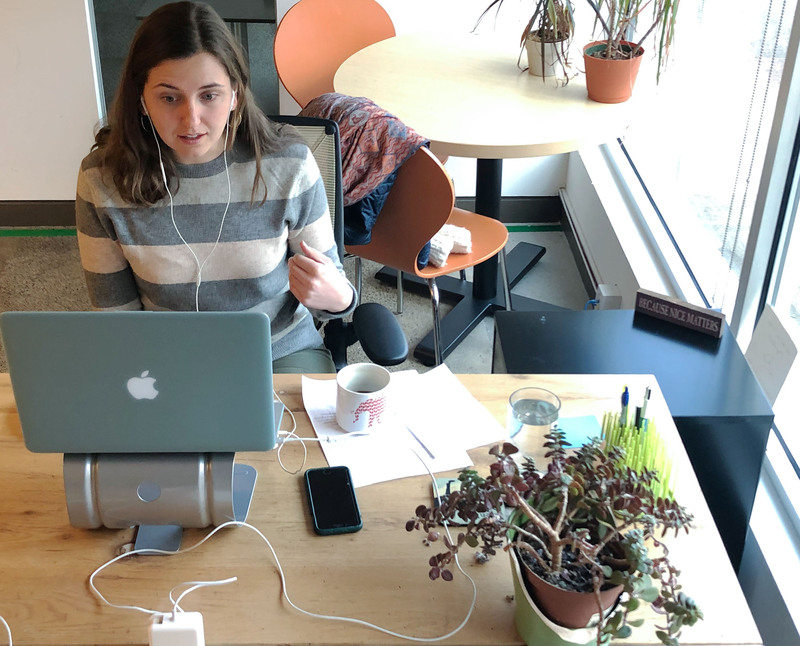 I often sit across from Emily at the co-working space that is TME headquarters, and she is everything I wanted to be when I was working 100% remotely (except that she’s 26-years-old (insert winking emoji)). You might be surprised to know that in a parallel universe, in order to work off some college loans, I left photojournalism for a career in global public health instead of becoming a high school English and media teacher. But that’s not true in this universe, so I must, unbrazenly, live vicariously through others who do the great feats I merely fantasize about. Like Emily — and the community health workers she collaborates with in Togo. Emily came to said co-working space on her own and got cozy. She set up a little corner with a filing cabinet, ergonomic laptop stand, pen holders and everything, plus a sign that says “Because Nice Matters”. I wanted to do that. She also introduced herself, which was so impressive…we’re not cold here in Philly….we’re just a little aloof (and very temper tolerant), so she seemed so…BRAVE to me. Finally, I asked this courageous solo-co-working woman what she did. So here we are, because what Emily does – is kind of amazing. Emily shared Integrate Health’s mission with City CoHo members in October. Now Deputy Director, Emily began working at Integrate Health over four years ago as a Fellow in Togo. If you aren’t looking at a globe right now, Togo is in Francophone West Africa, bordered by Burkina Faso, Ghana and Benin. Colonized by the Germans first, then the French after WWI, it’s been independent since 1960. UNICEF named Togo the 15th Most Dangerous Place to be born in the world in 2018. The top five common killers of children under five in Togo — malaria, diarrhea, pneumonia, HIV, and malnutrition— are easily prevented and treated. Which is why Celebrate My Sixth, Integrate Health’s year-end fundraising campaign which ended last week, was such a huge deal for the organization. The idea (if you have a child, which you likely do, you might tear up at this) is to assure that more children in Togo reach their sixth birthday. Currently, one in ten Togolese kids will not reach their fifth birthday — a rate fifteen times higher than that of developed countries. Hurts your heart, doesn’t it? [DEEP CLEANSING BREATH] [COUNT BLESSINGS]. Celebrate My Sixth funds the goal to eliminate that statistic. To that point, this year’s end-of-year fundraising push was aimed at going beyond ensuring kids would see their fifth birthday, to fulfilling the hope of celebrating a SIXTH birthday. So how did this young, dogged Millennial get to be in charge of such a huge life-saving challenge? Emily applied to a fellowship program that matched her with IH in 2014, and moved to Togo to work with them. At the time, IH had been organized around its previous mission: responding to the HIV crisis. During the previous decade, a lot of strides were made by Integrate Health in partnership with the government and other NGOs. A few months into her fellowship, IH asked Emily to coordinate the launch of the maternal health program. 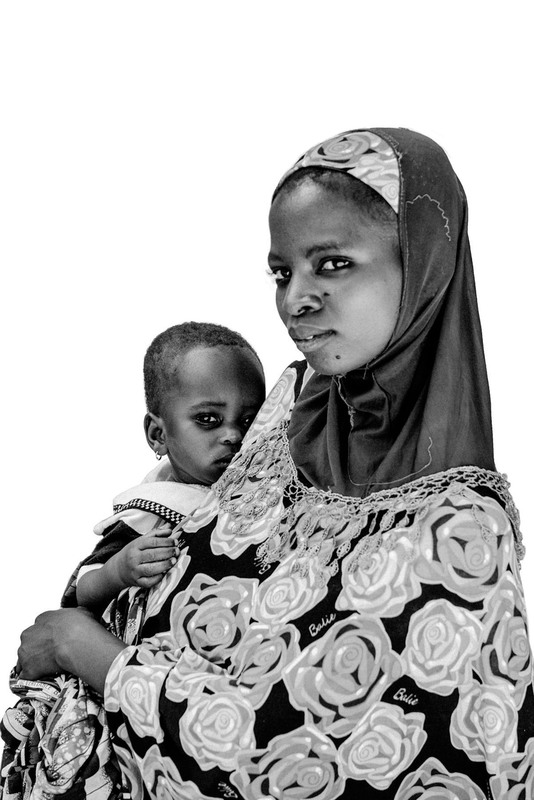 It comes down to this: the core group formed in 2004 (with a different name, initiated by Peace Corps volunteers, in partnership with a local association) had been so successful, they had significantly decreased the number of mother-to-child HIV transmissions. Since we met Emily, we’ve been kind of obsessed with her work, and we’re also obsessed — in awe in fact — with the women who implement this care day to day. 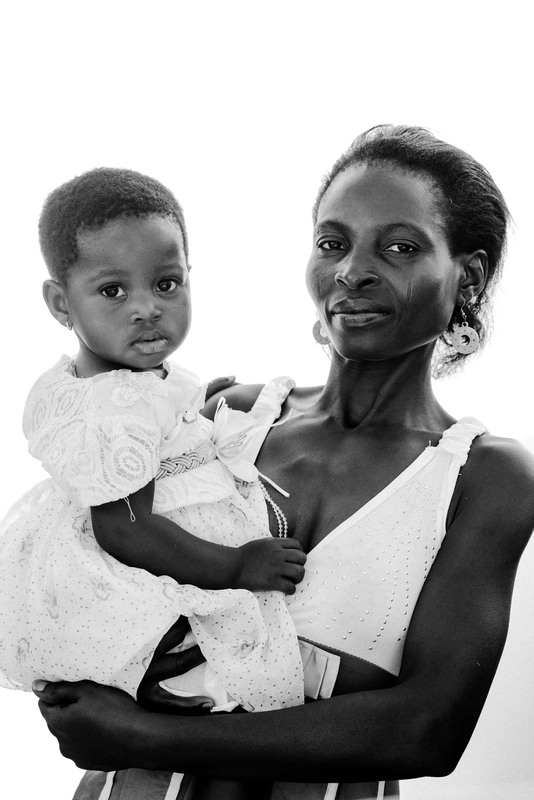 By 2014, comprehensive treatment services meant that women who were HIV-positive could give birth to a baby who was HIV-negative. This was a HUGE WIN. The children were born HIV-free and living. However — only for a while…that is, until many would acquire one of several highly preventable and treatable diseases (or, so we think of them from our perch of privilege in the West — to bring us back down to earth, it’s important to point out that the U.S. ranks 15th for low infant mortality, and doesn’t make the top 10 among other high-income countries, but we’ll get back to US later). Imagine living in a country where one in ten children will not reach their 5th birthday…. 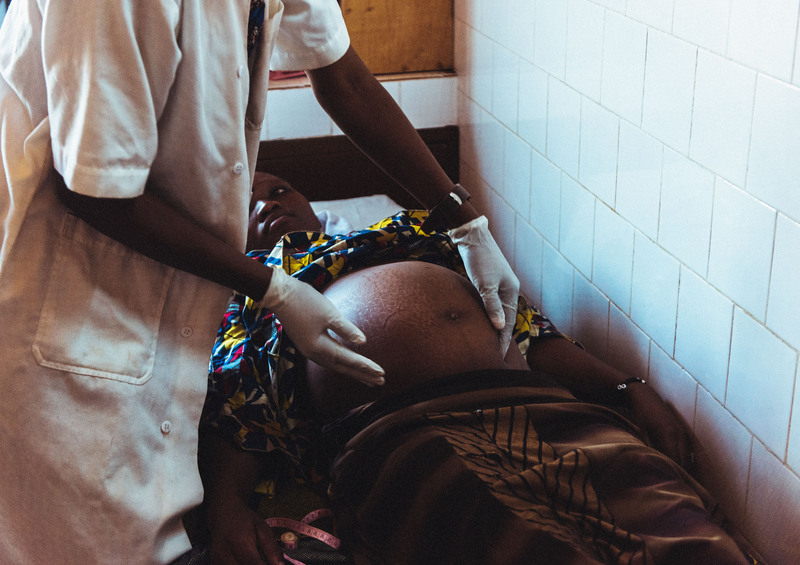 The majority of the population in Togo lives severely under the poverty line, so they might not have enough money to bring their child to the hospital to get care outside of such a program, and they were dying of other preventable diseases. It was that experience that made Emily and her colleagues realize they were at a tipping point in their organization, where they were ready for some replication and expansion of their services. As a result, IH was gradually turning toward an integrated primary care program — treating maternal, newborn, child and reproductive health together (as a suite). Although the logistics of IH seem fairly straightforward (we’ll get those), and if nothing else, clinical, the magic really happens on the ground with the community health workers. After Goose was born, I often thought wistfully about the Dutch and British midwives and lactation consultants who made home visits after a baby was born to check on mom and baby, and breastfeeding and what not. Turns out this a highly effective and convenient model for providing healthcare. This is what Bhanwari Devi was doing in 1992 India, and it’s how Integrate Health is able to deliver care to the mothers and children of Kara, Togo. 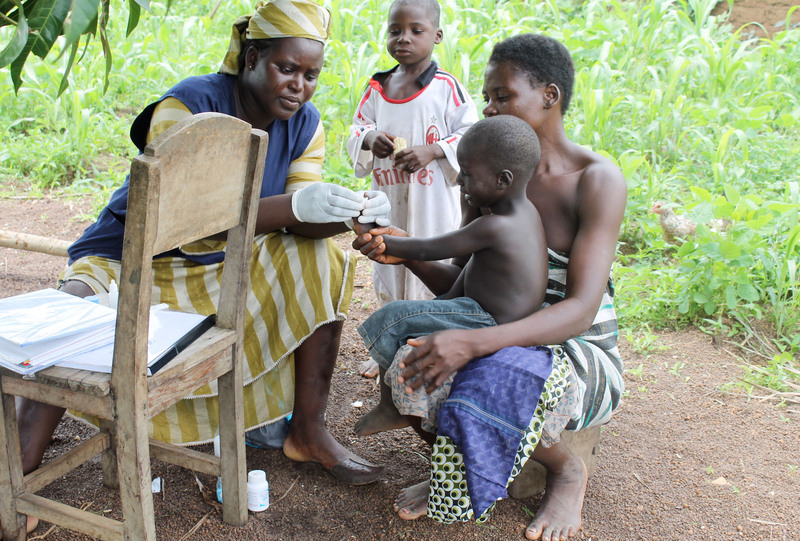 The community health worker is THE NUMBER ONE essential ingredient to saving lives on the ground in Togo. They’re trained in maternal, newborn, child and reproductive health, as well as family planning. She (in most cases, it’s a she) provides the ‘proactive care’ that not only keeps her community healthy, but also and subsequently keeps her informed of ways she can help her neighbors. It seems so simple when Emily explains it. The community health worker goes door-to-door, equipped with a backpack full of whatever she may need — items we probably take for granted (a home pregnancy test, a thermometer, a finger prick malaria test). If visiting a pregnant woman, the health worker may do everything from make sure Mama-To-Be got her prenatal consultation at the clinic the week before to collaborating with the expectant mother on a birth plan. “I hope you don’t mind me asking, but do you know if you’re pregnant or not? ‘Oh, well I’m not sure.’ Well, when was your last period? Do you want to take a pregnancy test and see? … And then they can provide oral and injections “right there, doorstep care, same day”. Emily used me as an example. “So, if we discovered together that you were pregnant (I carry pregnancy tests, we can do that together in your own home)…You find out that you’re pregnant, and I can talk to you about it….Where are you planning on giving birth? Why maybe do you not want to give birth at the health center? — Maybe we can work through some of those challenges….Great you want to give birth at the health center! — What do you need to know?….Let’s make sure we understand when are you going to go. What are the signs of being in labor? What’s your child care situation? What are you going to bring with you? There’s a similar strategy for the children as well, so that they can further intercept or treat the five deadly diseases that prevent one in ten kids from reaching age six. It all seems incredibly simple — and efficient…no one had to call their insurance provider first, there’s no co-pay, no referral to a specialist, no trekking to the pharmacy…no asking a husband for money. DONE. While Integrate Health is implementing the community health worker model in Togo, they’re also studying the same model in the United States. Their co-founder is a pediatrician in the Bronx, which is the poorest county in New York State (62 out of 62 as of 2015). The population faces a lot of the same problems as the population in Togo…food insecurity, educational gaps, housing challenges, transportation challenges, a lack of savings. “I’ve seen that it’s possible, and we have the tools that we need,” said Emily. There are numerous problems IH is working to solve in Togo that can be replicated in the Bronx: providing access to high-quality healthcare, the community health worker model, and other barriers to good care such as advocacy. One of those cross-learnings is the economic effect of bringing rural women into the workforce. Emily told me some stories that you would think are from the movies. Women are POWERFUL…I mean, we know that, but the story of the community health worker makes that all the more clear. AND, it turns out that female breadwinners are good for the community. One of the operational factors that makes Integrate Health work is the hypothesis that there’s an untapped potential in rural women. AND when we invest in rural women, there are beneficial ripple effects, starting here: Research shows that women are more likely than men to spend their incomes close to home, to invest in small businesses, and to fund their children’s healthcare and education. Women reinvest up to 90 percent of their income in their families, compared with 30 to 40 percent by men. 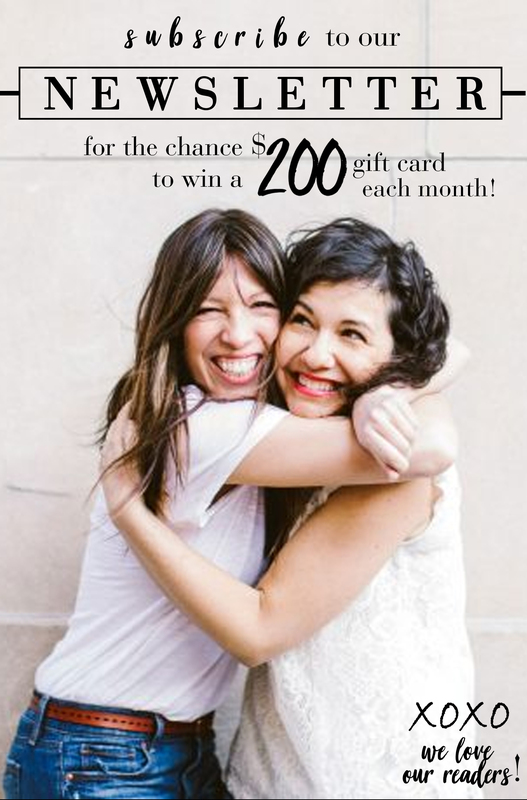 YAASSSS, MAMAS! So not only is Integrate Health’s model life-saving, it’s literally life-changing. By investing in their families, the women are improving the overall community because they’re injecting resources there — shopping at the local markets, sending their daughters to school (which costs money). For instance, once the women in Kara began receiving a salary, they invested it. “Right when we launched the program in 2015, we paid our community health workers their first salary,” explains Emily. “It’s the equivalent of minimum wage in Togo, which is about $75 a month, and this is the first time any of these women have ever received the salary before: they’ve now become the breadwinners in their family. A month later, I went back and I was talking to a bunch of them…‘So, if you don’t mind me asking, what have you done with with your first salary?’ They looked at me like I was crazy, ‘well, of course we pooled it and started our own micro-finance group. We pool our salaries, and then one person gets a lump sum every month and is able to invest in something’…like a big sack of corn to keep them through the winter… or ‘I paid for my daughter’s school.’ So, completely not organized by us [IH], these women have organized themselves into micro-finance groups. “Everything. Everything has changed completely. And my family dynamics have completely changed.” Veronique’s husband had a history of physical abuse, and she said that he doesn’t violate her anymore; he’s no longer violent. Emily inquired more, unsure of whether Veronique was putting her on or being overly dramatic. You can read more here, in #MeToo meets #HealthForAll: How achieving universal health coverage can (and should) drive gender equity, a post which also explains how the “highest performing 22 [women], and 3 men from communities where no female candidates applied, were selected to work full-time as paid, equipped, and supervised Community Health Workers.” Jennifer Schechter, co-founder and executive director of Integrate Health, also highlights the research underscoring the value of employing rural women. Another inroad Integrate Health has made takes us back to Ketut Lyer, the traditional medicine man in Bali. Historically and pragmatically, women in Togo have taken their children to their local traditional healer — about 70 percent of people would go to a traditional healer instead of the clinic or hospital. This was not only a traditional practice, it was also more convenient due to the distance and cost of going to a hospital, which may or may not be equipped to provide the required care. These healers are super-respected in the community, and Emily acknowledges that they know which diseases they can heal and which they can’t. However, Integrate Health has chosen to work with the traditional healers, as opposed to ostracizing them. They’ve brought them into the fold to be part of the process of building healthier communities. This isn’t always the case with NGOs, because a lot of the medicine that’s practiced in a traditional setting is not backed up by western medical science. Integrate Health trains the healers on danger signs, and creates a referral network. So when a mom brings their sick baby to a traditional healer, he can tell if the baby’s really sick or not, and refer the woman immediately to a community health worker. How Does Integrate Health Run? Overall, Integrate Health runs super-lean. 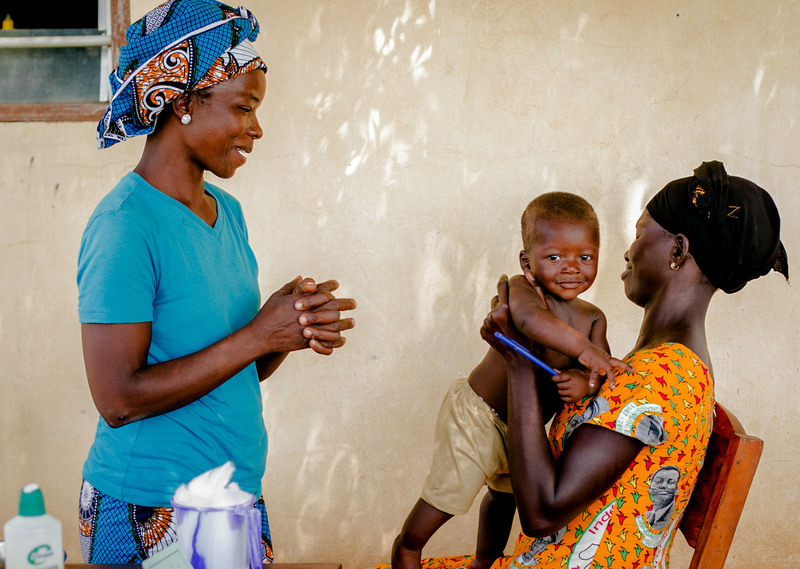 There are 92 staff members, 88 of whom are Togolese, and 4 people are based in the U.S. All 59 community health workers provide life-saving care to moms and babies, and the leadership on the ground in Togo is local. The group trains women in Kara (a rural area encompassing a city and a region in the northern part of the country). The city is peri-urban, and the other eight areas are rural. Integrate Health purposefully goes to the most vulnerable places with the least access to care. Eighty percent of the group’s budget is a result of fundraising. Some of that comes in the form of grants — they just got their first million dollar grant — woohoo! — while some of it comes from grassroots, individual funders and sustaining givers, such as former Peace Corps folk. Integrate Health receives a little from the Canadian government, but no funding from the U.S. government. The group’s current five-year plan includes a fundraising goal of $14 million. Celebrate My Sixth aimed to raise $30,000, and at last count, they were at $38,750. TME is THRILLED to hear this. Integrate Health liaises with mobile-health technology, and they recruit their community health workers locally. It took them 30 meetings to hire 27 workers, and most of these meetings – without indulging you in too much romanticism about life in the tropics and in lower-income countries — generally take place under the mango tree. The biggest challenge has been the medical supply chain, which requires a multi-pronged approach. Integrate Health works with local pharmacy managers on issues like managing stock, while the policy team works nationally to eliminate barriers. Preliminary data show that over three years, a 50% reduction in child mortality has been observed in the pilot communities where Integrate Health works. The key to their success has been implementing fast, high-quality health care, which is essentially seamless — clinic + community. 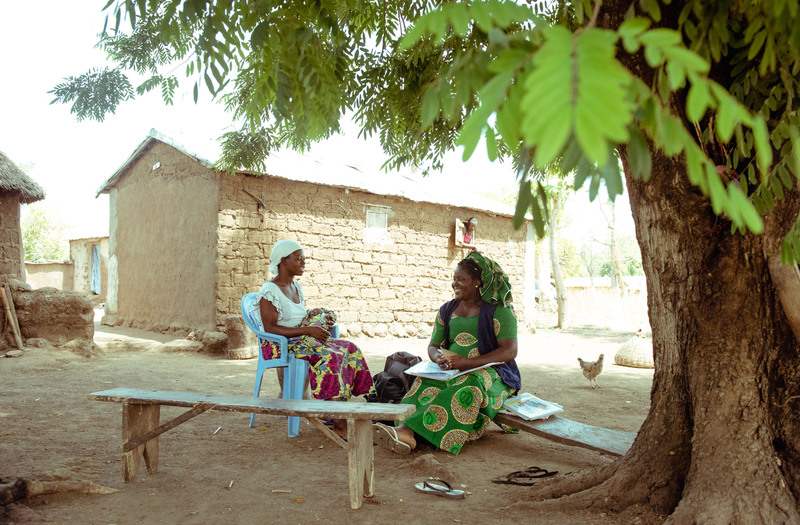 The four factors that allow IH to engage in early diagnoses are: 1) Speed — training women from their own community to be health workers for their neighbors 2). Free — eliminating the financial burden 3). Quality — a coaching model including nurses and midwives and 4). Reinforcing the the pharmaceutical supply chain so that medicine (antimalarials, antibiotics, HIV meds) is available and free (government funded). On the horizon is a plan to expand so that they can serve 200,000 people across 20 clinics, and they are encouraged that their model will be adopted into national health policy, a possibility within the next five years. The ultimate goal is for IH is to establish all of these systems in partnership with the government, so that the nonprofit can eventually leave. 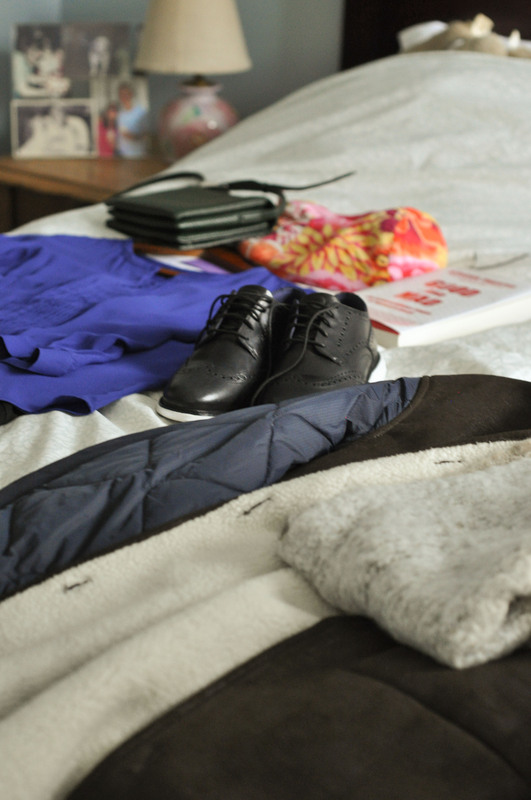 Emily finds her travel wardrobe a little more formal, full of blues, grays and black, in comparison to her daily outfits. Emily is BUSY. Within the past few months she’s been to Kazakhstan for the Primary Health Care Conference, hosted by the World Health Organization to celebrate the 40th anniversary of the Declaration of Alma-Ata)*. She traveled to Togo (via London to participate in the Women Leaders in Global Health conference) to join her Executive Director and members of the Board of Directors to review the fruits of their labor. Universal Health Coverage Day (December 12) has come and gone, as has Giving Tuesday. But more importantly, Integrate Health, also launched and completed their biggest fundraising campaign to date, Celebrate my Sixth, concurrent with an art exhibit in Chicago — The Women of Togo. Phew. *At the original conference in 1978, there was an urgent call for action to all governments, development workers, and the global community at large to protect and promote health for all. This year they recommitted to primary healthcare as a means of achieving health as a human right for everyone. 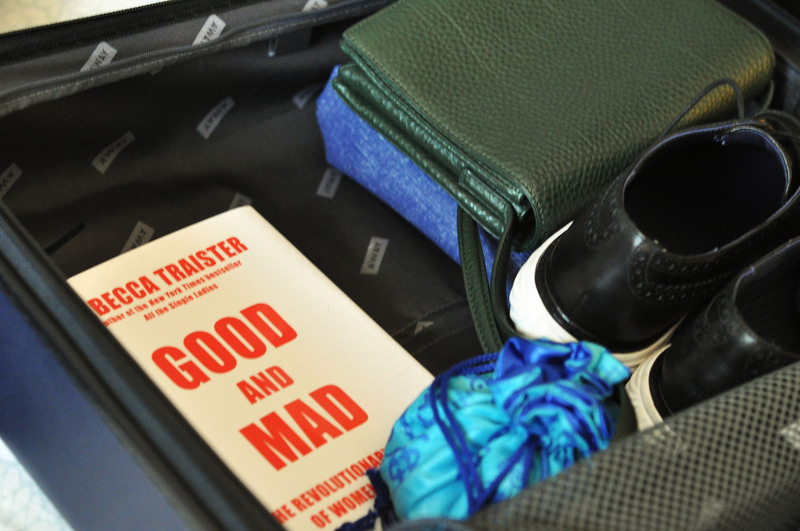 In her Away suitcase, Emily always has her travel yoga mat, meaningful jewelry and a good book. Emily spent her first year in Togo with her colleagues preparing for the launch of the primary care program. They established the community-based recruitment process, and hired a coach to work in the clinics and train the nurses and midwives, in order to improve the quality of care. They built the supply chain, figuring out how to get meds from one place to another; they built a monitoring and evaluation system; they figured how to keep track of the number of patients they were serving; and determined what kinds of indicators to collect to make sure they were effective. Integrate Health launched the program in July 2015, and Emily stayed for a second year to see it through its first year, which was really exciting. IH saw a lot of really dramatic results in that first year. An increase of sick kids getting treatment by 500%, women receiving prenatal consultation up by 200%, facility-based delivery rates up by 90%. During that time, Emily lived in a compound that had a mix of Togolese folks, some other international staff from Integrate Health, and other local Togolese who weren’t affiliated with Integrate Health. She had a studio apartment, so she had running water (not hot), and electricity and a little kitchen. It sounds super-smooth, but a lot went on behind the scenes — so much so, that, like for many of us — the start of Emily’s job was a little trial by fire (moving to a new country or continent will do that, too). For one, there aren’t a ton of expats living in Togo, so Emily had little-to-no anonymity. She was clearly one of few Westerners, and there were a lot of assumptions made about who she was and what type of privilege she may or may not have had. But that didn’t last too long. She got to know people, and made strong enough connections that she got more comfortable truly being herself. That was underscored by having shared experiences with her new neighbors and colleagues. And [they]are still really close now. I love living in Togo…I mean, I joke with my boss now, that I think I’ve peaked in terms of excitement of my job…(laughs) that feeling so close to a problem and getting to watch change happen, like literally overnight, and having these really close connections and feeling really proximate to the problem…I guess….it was really exciting, and Togolese people are just an absolute joy. A big switch from heels, Emily’s currently obsessed with her Cole Haan oxford sneakers, which she’s incorporating into her conference wardrobe. 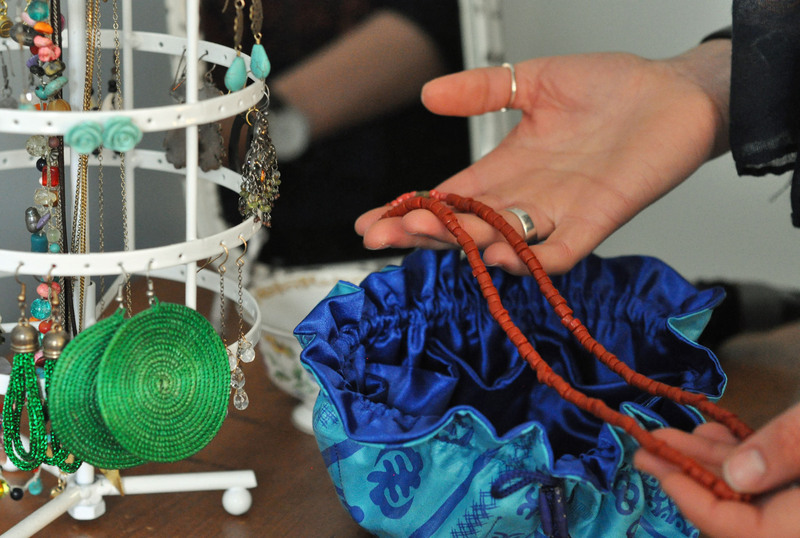 Emily packs colorful jewelry for her travels, and when she goes to West Africa, she takes her faves from there. 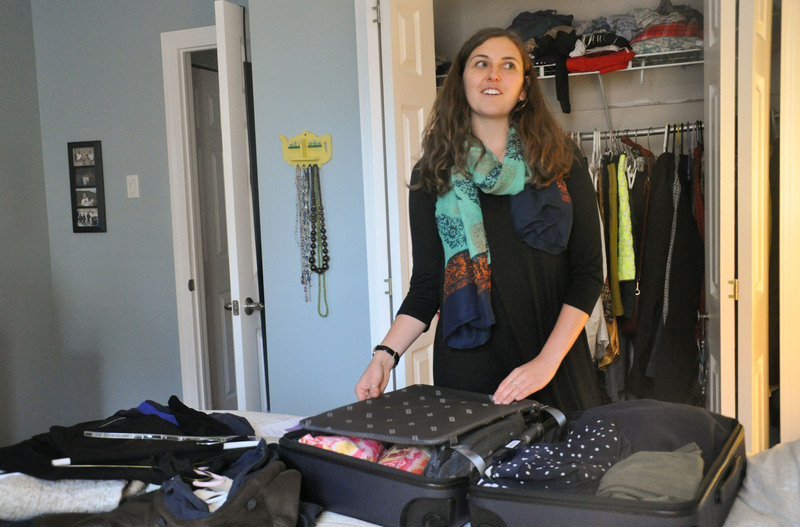 When Emily returned to the States in 2016, she settled in Boston. It was the closest city to home, and it has a vibrant public health scene with a strong global health network. Working the same job, having the same connections, and working out of a peer network’s office made the transition an easy one….And then Emily found LOVE — which is what brought her to Philadelphia in September. She relocated to be closer to her partner. 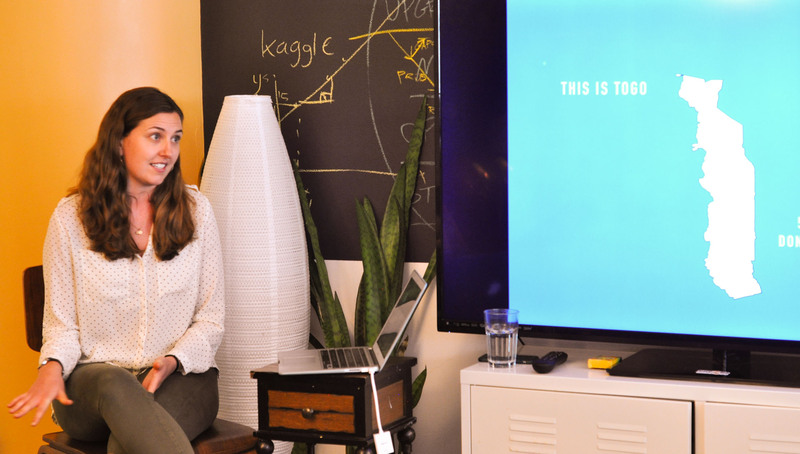 Because it’s nontraditional, features plenty of startups, reflects her values, and provides her a chance to build her own community, Emily chose City CoHo for her co-working space — which is where we found her. Yay! 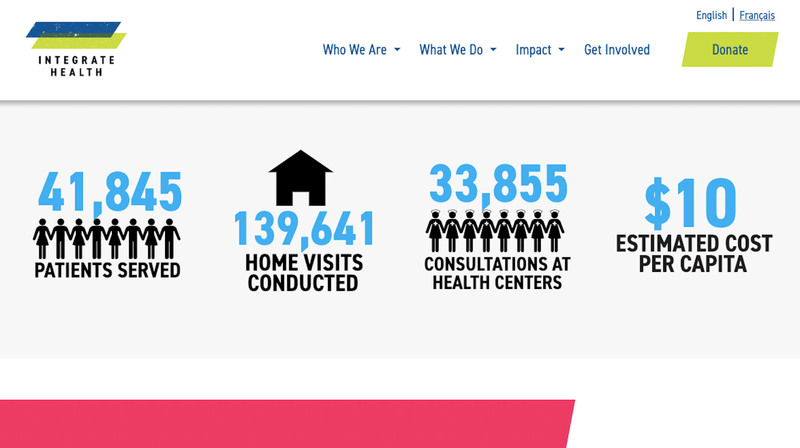 Integrate Health successfully met its Celebrate My Sixth end-of-year goal. Next up is a gala set for May. It’ll be a big to-do for the group, their first branded event, so they’re currently seeking company endorsements and corporate sponsorship. It’s a huge deal that IH met its fundraising goal. The nonprofit world held its breath after the 2018 tax reform bill, in which charitable contributions were expected to decline. On top of that, charitable donations increased for domestic nonprofits, which could have dipped into donations for international organizations. Like many other nonprofits and not-for-profits, IH is planning a campaign for recurring donors. “Even modest amounts (i.e., $20 per month) can have major impact,” said Gryniewicz. We are looking to increase investors at this level. While we appreciate all gifts, of course, the main difference is that recurring donors ensure that the CHWs are equipped with the right medicines, that pharmacy shelves are stocked, and clinics have the equipment they need. This goes a long way in saving lives.” To help, click here. 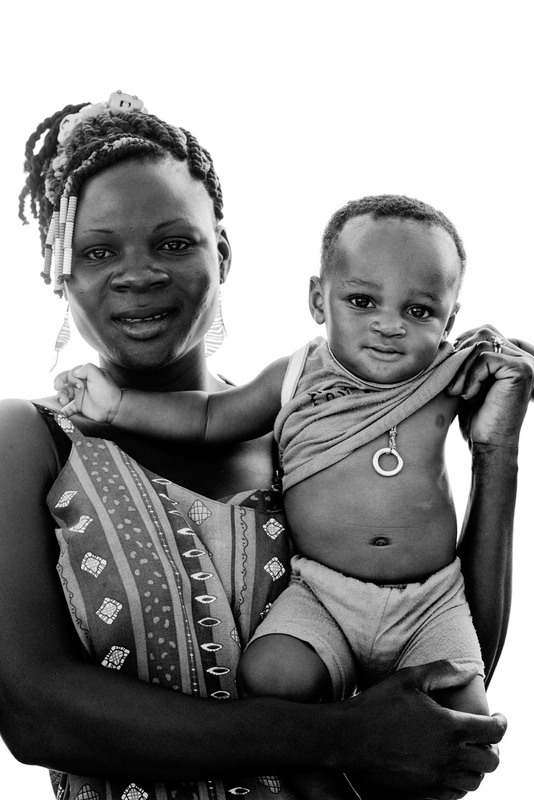 Jennifer Schechter, co-founder and executive director of Integrate Health, explains how valuable this is in her Medium post A Mother’s Hope Is Universal. We are so grateful to Emily Bensen for sharing her time and all the phenomenal work that Integrate Health is doing. Thank you! It’s such an inspiring endeavor. We look forward to supporting them (you can too) and watching their work evolve. To help, ask if you can support the exhibit’s continuation or the gala in New York; donate, and/or spread the word). You can also reach out to us here at TME, and we can connect you to Emily. Alexis, THANK YOU for this eye-opening and heart-warming article. 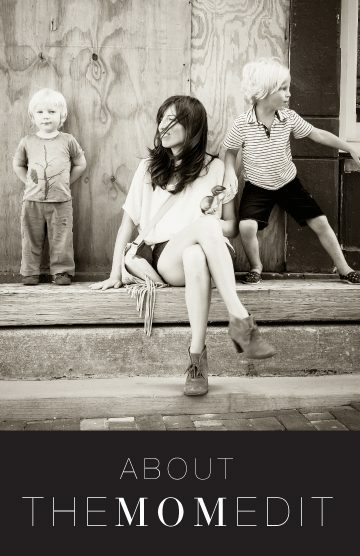 While I love fashion, I am giddy when I see TME has an “Alexis article” to read. You bring to light so many important social issues and I love that I feel I can actually DO something to be a part of the solution (monthly recurring donation? Yes!) Keep it up Alexis, YOU are making a difference! As a former Community Health Peace Corps Volunteer in Togo (2000-2002), I LOVED seeing Integrate Health get this shot of visibility from my favorite blog! I am still haunted by the child deaths that my Togolese friends endured, and am so proud of all the volunteers who work with community members and local medicine workers to do this important service. Thank you, Alexis!!!! Thank you for sharing this story! So important!